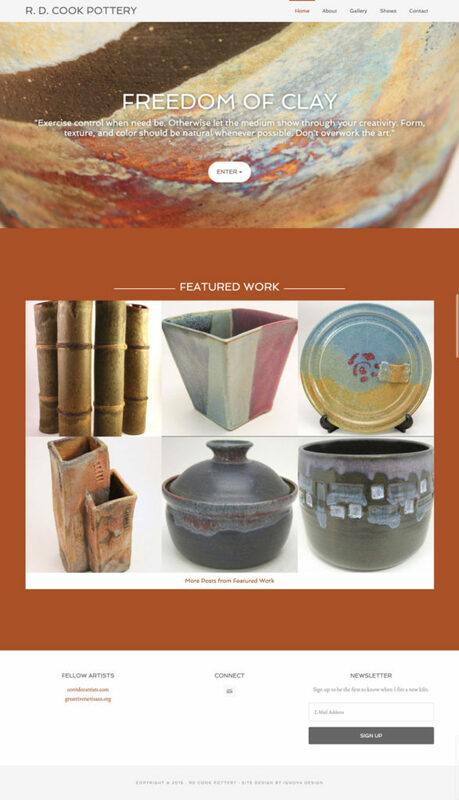 Ron Cook has been a potter for over three decades. He mixes his own glazes from scratch and fires his pottery in a hand-built brick kiln. After relying on Facebook for years, Ron was looking for a more robust medium to share his work. We designed and developed this simple WordPress site to showcase his creations.